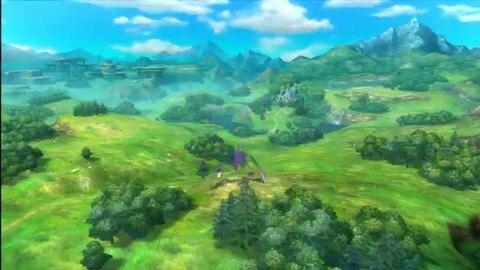 Impossibly lovely Level-5/Studio Ghibli collaboration Ni No Kuni is heading West, according to a GameStop report. Level-5 boss Akihiro Hino apparently announced during a Japanese press conference at Tokyo Game Show last week that it will be released in the US in early 2012. Hino was referring to the PlayStation 3 version, due out in Japan soon. But what of the DS original? Eurogamer put in a call to the studio's US office for clarification, but a spokesperson offered no more than a 'watch this space'. No word on a European launch either. Level-5 has no publishing presence on these shores, traditionally partnering with either Nintendo or Sony to release its titles. The PS3 version of the RPG will reportedly offer additional story content, continuing the tale after the DS's end point. There'll also be as yet undefined DLC. While you're waiting for more news, why not bask in the not inconsiderable glory of the launch trailer below, or check out our Ni No Kuni preview for hands-on impressions.